(West Hollywood, CA, November 22, 2005) Key Club and Grassroots Productions present the Grammy Award Winning, multi-platinum Hip-Pop sensation: Black Eyed Peas on Saturday, Nov. 26, 2005. All ticket sales will support the Black Eyed Peas children’s charity, the Peapod Foundation. Tickets are $200.00 and can be purchased by calling the Key Club box office at 310-274-5800 or by visiting www.ticketmaster.com. Ever since they were a fledgling group in the environs of Los Angeles, the Black Eyed Peas have flaunted a passionate, energetic hip-hop spirit people have always been drawn to. The group, originally called Tribal Nation made up of will.i.am and apl.de.ap attempted to break into the industry with their original sound and positive lyrics since 1990…and breakthrough they did! With the additions of Taboo and Fergie, the group made a huge impression on the popular music scene with the release of Elephunk in 2003. The release of that album resulted in the sale of 7.5 million copies worldwide, four Grammy nominations and one Grammy Award for the group. But if Elephunk was the group being crowned prince of the castle, then Monkey Business, their fourth album, is the Black Eyed Peas conquering the throne to become King. In many ways, the album is a direct descendant of its predecessor. “Monkey Business is very much about the types of songs we play live. It’s about a party. It’s layered differently and has energy to it that reflects how we tour – from the beats to the types of instruments we used to how we interact with the audience. It’s very much about us and the crowd on this record” explains will.i.am. Recently voted #1 Live Music Venue by AOL City Guide, Key Club is located on the historic Sunset Strip and is dedicated to being the absolute best venue for live music and fine dining. The Black Eyed Peas’ recently launched the Pea Pod Foundation, a Children’s Charity intended to bring aid to children who suffer worldwide established through the Entertainment Industry Foundation (EIF) – Hollywood’s leading charitable organization. EIF, on behalf of the Pea Pod Foundation, will announce a grant to be awarded to South Central Los Angeles based A Place Called Home and its music program, Project MuszEd. The Pea Pod Foundation will also make a donation to After School All-Stars who will also be featured as part of the show. “The Black Eyed Peas have been performing to raise funds and awareness for children’s charities since their own humble beginnings. 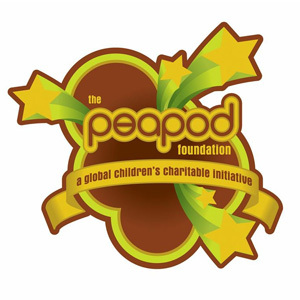 They are thrilled to announce their continuing global efforts under the moniker of the Peapod Foundation with the support and expertise of the EIF” says Christine Hansen, President/CEO of Thirty-Three Productions and co-founder of the Peapod Foundation, alongside BEP manager, Polo Molina, the President of Grassroots Productions who successfully founded the first Peapod Children’s benefit in 1998. Don’t miss your chance to witness one of the hottest shows of the year up close and personal: Black Eyed Peas’ performing live at Key Club for the 7th Annual Pea Pod Foundation Children’s Charity Benefit on Nov. 26, 2005! As part of the performance, children from A Place Called Home, Project MuszEd and After School All-Stars will have a once in a lifetime opportunity to “rock out” on stage before the Black Eyed Peas headline the show. Sponsored by MySpace.com, the 3rd ranked web domain with over 38 million registered users. www.myspace.com/blackeyedpeas is home to over 70,000 friends of the Black Eyed Peas.